From this morning until Tuesday 12 February 2013 in Courtroom 2 is the appeal of Public Relations Consultants Association Ltd v The Newspaper Licensing Agency Ltd & Ors. The appellant association represents the interests of UK public relations providers who use the online news service Meltwater News, which collates articles from newspaper websites. The first respondent seeks a declaration that members of the appellant organisation require a licence in order to use the service. The Supreme Court will determine whether the copies created when accessing a web page are exempt from copyright protection by reason of the temporary copies exception provided by the Copyright, Designs and Patents Act 1988, s 28A. Case details are available here. The President of the Methodist Conference v Preston will be heard on Wednesday 13 February 2013 by L Hope, L Hale, L Wilson, L Sumption and L Carnwath. The respondent, an ordained Minister, submitted a letter of resignation to the appellant and commenced Employment Tribunal proceedings for unfair dismissal. The claim raised the preliminary issue of whether or not she was an employee of the Methodist Church under the Employment Rights Act 1996. Here are the case details. On Wednesday 13 February 2013 the Supreme Court will hand down judgment in In the matter of Digital Satellite Warranty Cover Ltd & Anor v Financial Services Authority. The Privy Council is sitting in Courtroom 3 on Wednesday 13 February 2013 to hear Elgin Wright & Ors v Buildings Heritage Ltd, a referral from the Court of Appeal of the Commonwealth of the Bahamas. The matter will clarify the approach that ought to be taken by the Privy Council where fresh evidence comes to light after final determination of a case by the Supreme Court and the Court of Appeal of the Bahamas. Case details are available here. HMRC v Loyalty Management UK Ltd, heard 24 – 25 October 2012. R (Faulkner) v Secretary of State for Justice & Anor and R (Faulkner) v Secretary of State for Justice & The Parole Board, heard 19 – 21 November 2012. Daejan Investments Ltd v Benson & Ors, heard 4 December 2012. Financial Services Authority v Sinaloa Gold plc & Ors, heard 12 – 13 December 2012. In the matter of J (Children), heard 17 – 19 December 2012. Schutz Ltd v Werit Ltd, heard 15 – 16 January 2013. Sharif v The London Borough of Camden, heard 17 January 2013. Hayes v Willoughby, heard 17 January 2013. In the Matter of L-B (Children), heard 21 January 2013. WHA Ltd & Anor v HMRC, heard 21 – 24 January 2013. SL v Westminster City Council, heard 28 – 29 January 2013. Davies & Anor t/a All Stars Nursery v The Scottish Commission for the Regulation of Care, heard 30 January 2013. Joint Administrators of Heritable Bank v The Winding-Up Board of Landsbanki Islands HF, heard 4 – 5 February 2013. 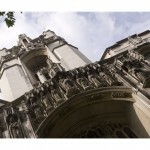 Leave a reply on "In the Supreme Court w/c 11 February 2013"